Marking 30 years of Sadaka-Reut’s activity is a great opportunity to stop and ask where we are and what we have achieved thus far. Over the years Sadaka-Reut has strived to promote an equal, shared and just society for Palestinians and Jews. We swam against the current, and have educated youth to voice their opinions, take responsibility and act for social change. Numerous changes have occurred in the organization and in the relations between Jews and Palestinians during the past 30 years; nonetheless, in essence, Sadaka-Reut has been and still is today an organization that educates Jewish and Palestinian youth to be political activists. 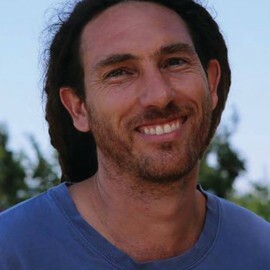 A research recently published by Dr. Keren Ross from the University of Indiana found that Sadaka-Reut’s graduates over the past 30 years demonstrate a critical perception about the Israeli society, with two-thirds of them actively involved in initiatives that aim to change the Israeli society, namely through promoting equality for Palestinian citizens and other minority groups. We have chosen to devote the 30th anniversary to our graduates who are involved in initiatives, movements, organizations and political parties that are committed to promote social change in the spirit of Sadaka-Reut’s vision. This page tells the stories of some of our graduates, the initiatives they are involved in and the linkages they found between their participation in Sadaka-Reut and their activism today. Saleh, 40 years old, is a Palestinian advocate who specializes in human rights. 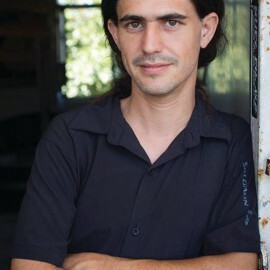 He is also active in Ramle’s local political party “Progress and Equality” and in various other social change initiatives. Among the legal cases he focused on was a petition that demanded to cancel the mandatory clause of a military service as a condition to apply for a job in the Israeli airport, followed with a request to fine the company for discriminating Arabs who apply. Additionally, Saleh was active for equal representation of Palestinians and women in the municipal committees in Lod: while Palestinians comprise 30% of the population of the city they are completely unrepresented, as do women. We came there to photograph because we supported the struggle, we didn’t come as photojournalists that were sent by someone else . In his late thirties, Amit, a Jewish father to two, grew up in Petach Tikva and moved to Haifa, where he lives today, following his involvement in Sadaka Reut. Amit has been working for the past three years at Elem (an association for youth at-risk) with multi-cultural and multi-ethnic population, accompanying youth at risk, and responsible for training and supervision of volunteers. 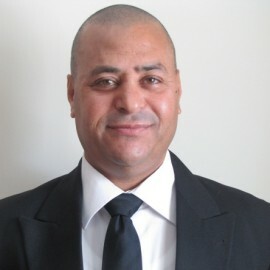 Additionally he is active in the bi-lingual school initiative in Haifa. When I choose the topics I curate it is important for me that the issues bring about change. Change is not only achieved through demonstrations and shouts but also through awareness raising and art. All the themes of the exhibitions I curated deal with a social problem… we need to discuss issues, not avoid them; we need to be more political. 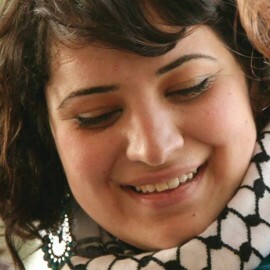 Rawan, a Palestinian woman in her early twenties, has a BA in Communications and English Literature, and is currently completing a Master’s degree in Psychoanalysis and Literature. 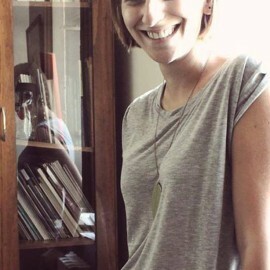 She works at a youth center in Al-Achuwa school in Jaffa, where she volunteered while in Sadaka-Reut’s ‘Community in Action’ project in 2011-2012.